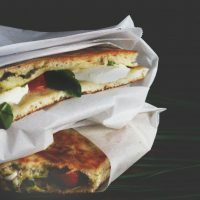 A simple and easy marriage of grilled cheese sandwiches and Caprese salad that comes off as gourmet in these Caprese Sandwiches. Weekends are not for working. And sometimes cooking can be work. That is unless you are making Caprese sandwiches. When I cook on the weekend I like to whip something up that is quick and simple. Cooking for a family of five can feel like such a chore. It's probably my own fault as I am always doing the absolute MOST in the kitchen. What can I say? It is one of my favorite places to be. On those days when I want something good that seems gourmet, but doesn't take gourmet time, I go to one of family's favorites. 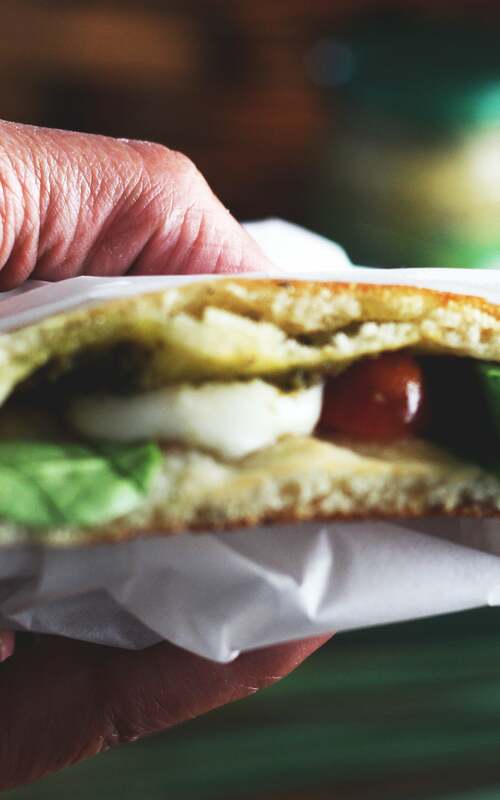 Naan Bread Caprese Sandwiches. YUM! Not to be confused with Capri's, the fashion statement. These are CA-PRESE! the delicious goodness. It's a grilled cheese on steroids. Well not literally, but you get it. It makes me feel all healthy cause the tomatoes and spinach have me covered in the vegetable department. Then to top it off it has PESTO. 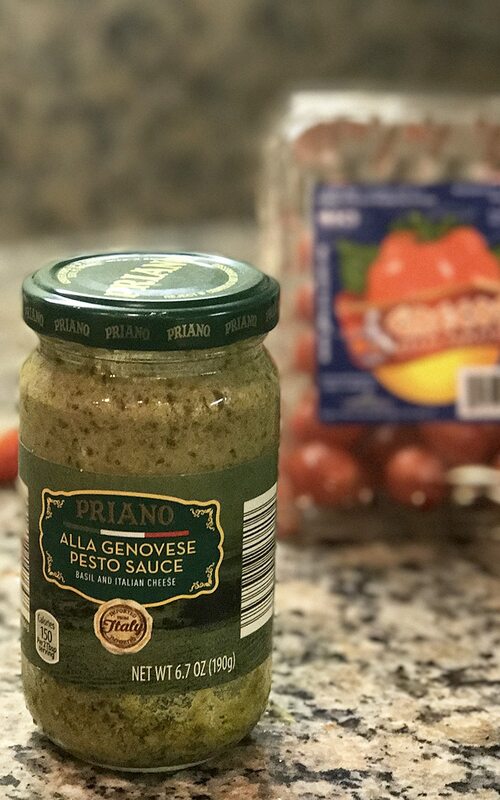 I have never tasted a meal that has pesto that did not taste amazing. 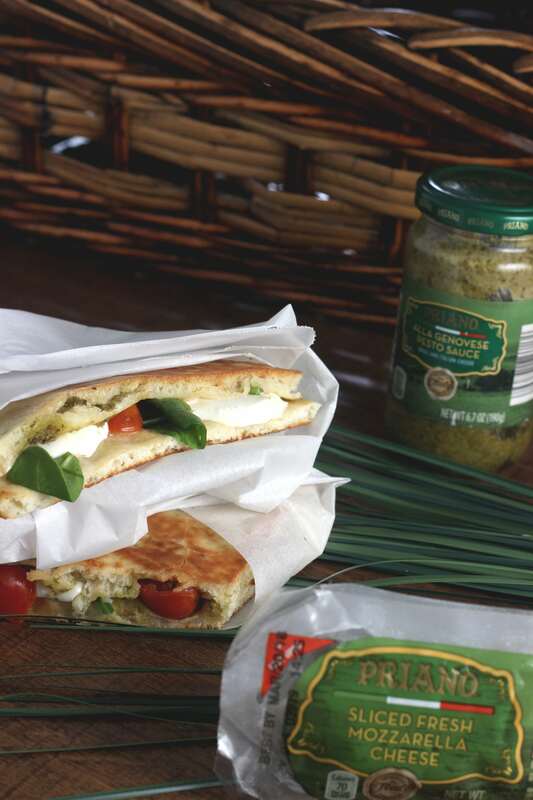 And these Caprese Sandwiches are not the exception to that rule! I typically serve these up with a quick and easy side salad. When all is said and done, every one if full and satisfied and I didn't spend hours doing it. I call that a mom win! 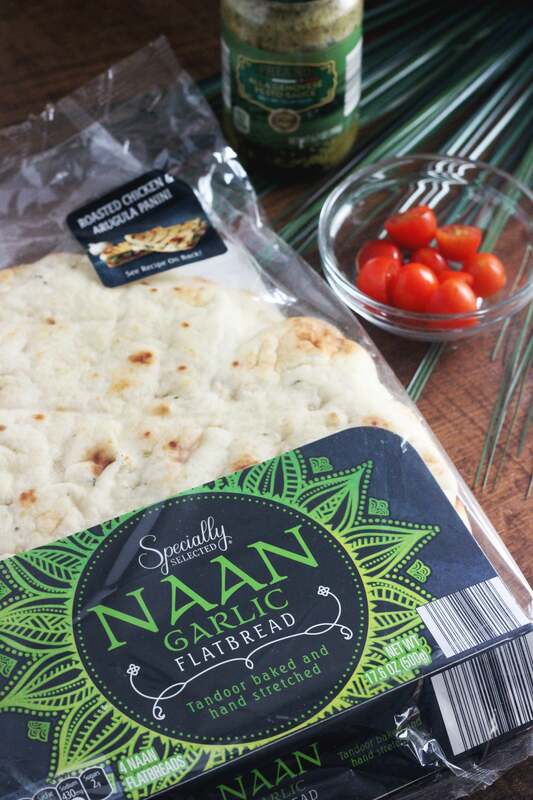 These are a great go-to when you forgot to take something out the freezer for dinner, or when you feel like putting in minimum effort and still having maximum yum. 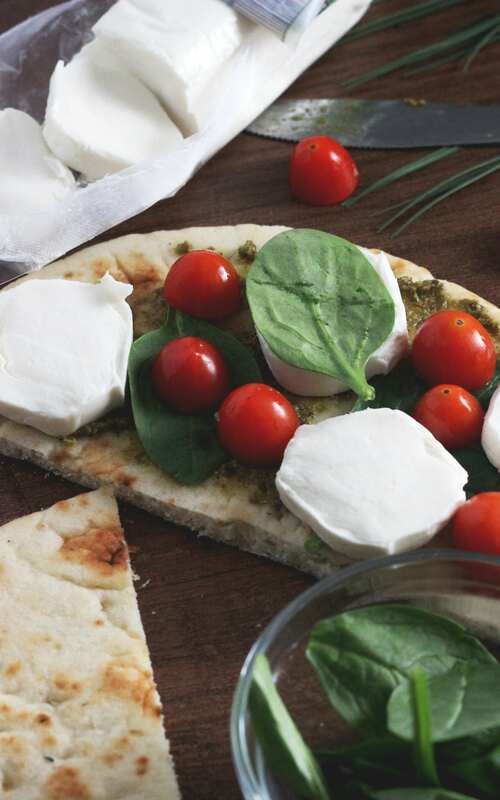 A simple and easy marriage of grilled cheese sandwiches and Caprese salad that comes off as gourmet. Heat griddle or skillet on med heat. Each piece of bread makes one sandwich. Spread pesto on one side of sandwich. 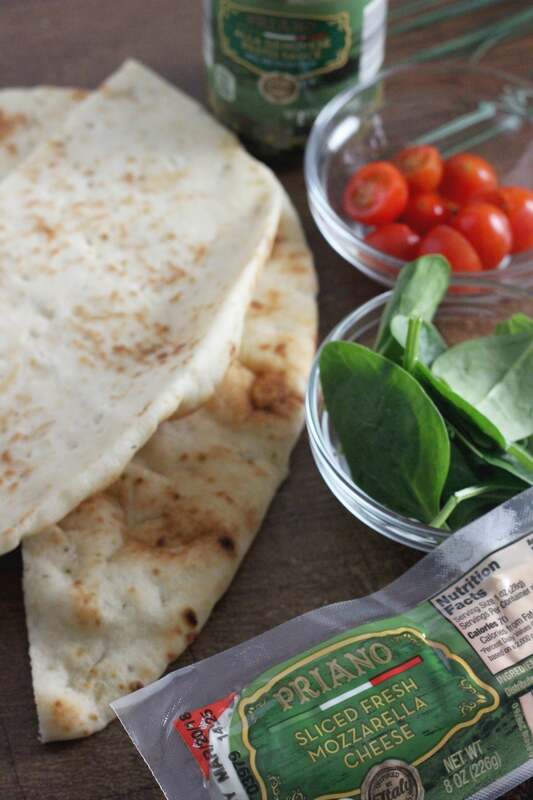 Cover with pieces of baby spinach, tomatoes and mozzarella slices. Top with second slice. Place sandwich on griddle or skillet, cooking until toasted on one side. Carefully flip and toast on second side allowing cheese to melt. 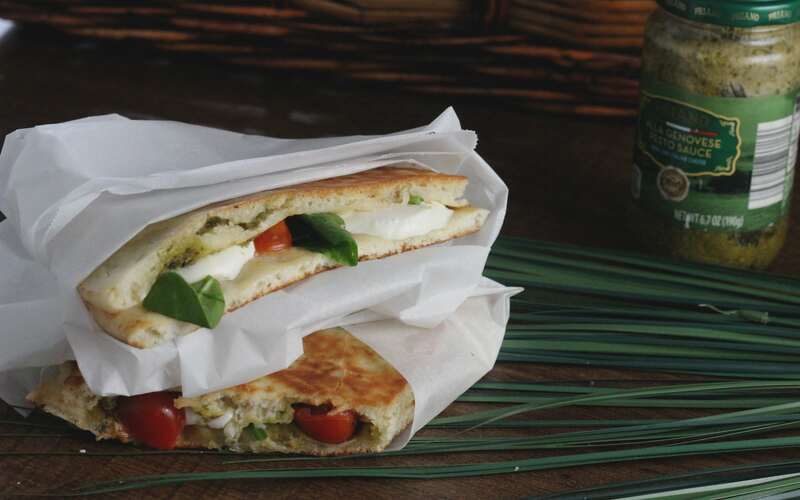 INTERESTED IN MAKING NAAN BREAD CAPRESE SANDWICHES RECIPE? YOU CAN PIN IT AND SAVE IT FOR LATER WHEN YOU ARE READY TO MAKE IT!